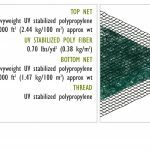 The 100% polypropylene fiber matrix augments the permanent mattings initials mulching and erosion control properties as well as its permanent vegetation reinforcement capabilities. The P-550 drives the shear resistance of vegetation to over 14 lbs. 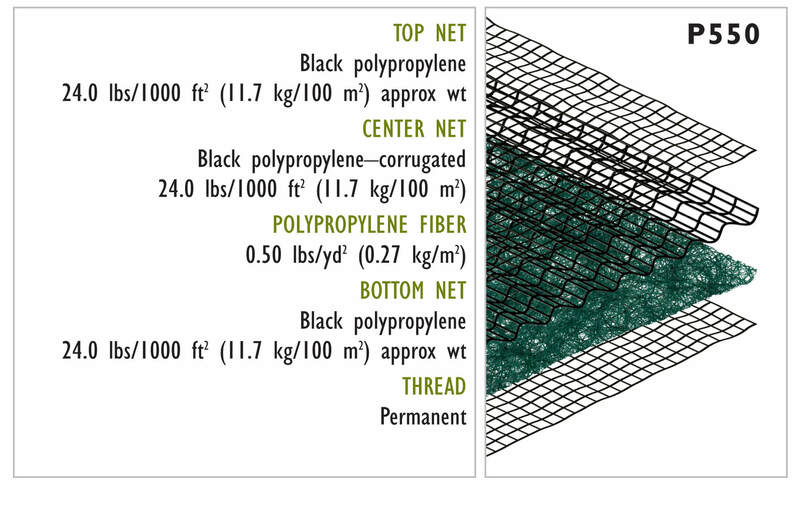 per square foot, establishing a new maximum for vegetation reinforcement. The North American Green DOT system is available on the P-550. The DOT system is a series of color coded dots marking the exact location for proper staple patterns on each blanket. The different colors represent different staple patterns.